Norman Forde was recently promoted to vice president of STV. A transportation industry veteran with more than 25 years of domestic and international experience, Forde is responsible for leading STV’s downtown Baltimore office. Forde has managed multi-million-dollar projects from specification development through final design and construction. 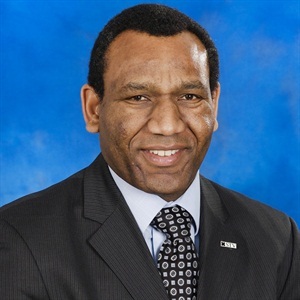 He joined STV in 2008 and has worked with clients throughout North America, including the Federal Railroad Administration and Federal Transit Administration, managing the procurement of new commuter and light rail cars and overseeing initiatives to improve transportation safety technology. He has supported federal efforts to launch high-speed rail service in Florida and the Pacific Northwest, and recently served as co-chairman of the 9th World Congress on High-Speed Rail in Tokyo. Forde earned a Bachelor of Science degree in economics and management studies from the University College Cardiff School of Management in Wales, U.K., and went on to obtain a master’s degree in corporate planning and marketing, also from the Cardiff School of Management. An executive member of the American Public Transportation Association, he is a member of its High-Speed Rail Committee. He is also a nationally certified firefighter, part-time fire instructor and captain at his local fire company, which has aided him in his work on the National Fire Protection Association’s committee overseeing standards for passenger rail systems. About STV: Founded more than 100 years ago, STV is a leader in providing engineering, planning, architectural, environmental, and construction management services for transportation systems, infrastructure, buildings, energy, and other facilities. The firm is ranked 39th in Engineering News-Record’s (ENR) Top 500 Design Firms survey, 9th in its Transportation category, and was named ENR New York’s Designer of the Year in 2015. STV is 100 percent employee-owned.